If you want to send money to friends, relatives, partners in another country. Use Stellar, Stellar to send money as fast as sending an email at a very low cost. In this article, I will guide you through the creation of a stellar wallet, how to send and receive money through a wallet stellar. 1. Go to : https://www.stellar.org/account-viewer/#!/ and click Generate buttom . Immediately, you will receive a stellar wallet. Includes Public Key and Secret Key. Save it and pay attention not to let anyone know the Secret key. - With the public key, that's where you get Lumens (money). Give this code to your friends, relatives or partners. - With Secret key: This is the key to open your wallet. Keep it carefully and do not let anyone know. "This account doesn't exist on the network. To create this account, send it at least 20 lumens (XLM) to fulfill the minimum balance." Good to note, when setting up an account, ask someone to send you 21 lumens. Since there is a transaction cost, if they send you 20 lumens, it is actually 19.9999, so the transaction would fail. Otherwise, great walkthrough! I tried to send lumens for the first time but it says incorrect address. Please help. so what kind of wallets support that ? or maybe trading site ? any suggestion dude? Farhadlawyer Currently it's impossible to do a merge operation (send everything) from the account viewer. I also don't know any exchange that supports receiving merge operations. Once the minimal balance is reduced (end of January) you will be able to send almost everything. Someone please help. I have purchased Stellar lumens from CEXI.O. To transfer Stellars from CEXI.O to the Stellar account viewer CEXI.O needs a "memo ID". How do I fund, activate, my Stellar Account viewer? CEXI.O needs a "memo ID" to transfer funds to Stellar account viewer but CEXI.O require a "memo ID". Can someone please help? Messages to Stellar contact remain unanswered. There are two conflicting directions that the Stellar account has to be activated with 20 or 1 xlm????? garytvshow It looks like cex.io is not activating accounts directly. You could open a ticket with their support to request them to do so. You will first need to transfer 1 XLM from another exchange or account to activate it (20 XLM was needed before, but now it's 1 XLM). 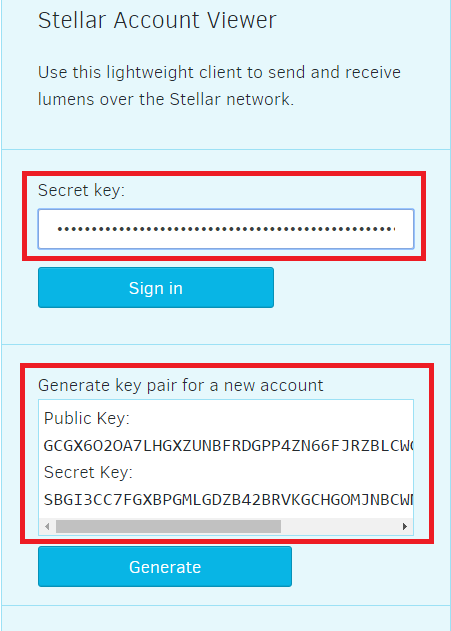 If you are transferring to the Stellar Account Viewer you can leave the "memo ID" empty or put any number inside. Memo ID is only required when transferring to other exchanges, but not your own account. You don't need a memo for your own accounts. The new minimum balance is 1 XLM. CEX.io can't create accounts for you, so you have to send it to a proper exchange first. garytvshow bkolobara and dzham already answered everything. I just want to add, that if you use Telegram you can check my @PapayaBot wallet. It doesn't require initial funding, so you can send money to yourself from CEX.io directly, but it does require you to specify memo. After that you can send from PapayaBot to your account viewer and your account will be funded automatically.